(Best Stargazing destinations in India) “Twinkle! Twinkle! Little star! How I wonder what you are!” Who doesn’t love spending the night aimlessly gazing at the beauty of the sky, the adorable moon and trillions of glittering stars! For all the campers and night owls, we have compiled for you a special list of stargazing destinations in India! Located 40km northeast of Port Blair, the capital of Andaman and Nicobar Island, Neil Island is quite famous for its sandy beaches, underwater wonders, green forests, sound of the waves of the sea, whispers of the wind and especially the sky full of stars. It is surreal to see the sea merging with the myriad colors in the sky. 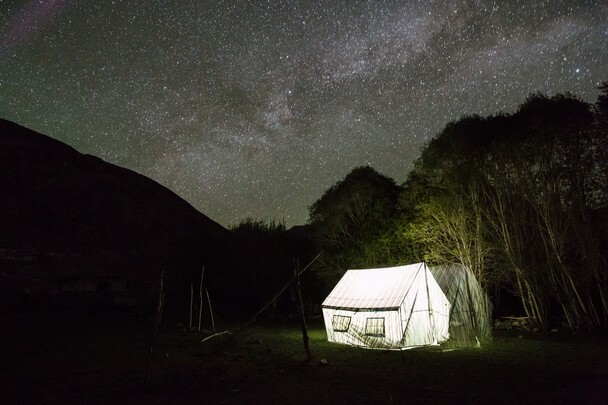 For just once spend a night underneath the sky surrounded with blue-hues and gazing at thousands of glittering silver stars. The place is one of the best stargazing destinations in India! Am I the only one who thinks Rajasthan is all about sand, sunsets and camels? Probably not! These are the first thing that strikes to every mind when they hear ‘Rajasthan’. Undoubtedly, these are things that maketh Rajasthan’s Jaisalmer but it’s is much more than all these; it’s an experience. 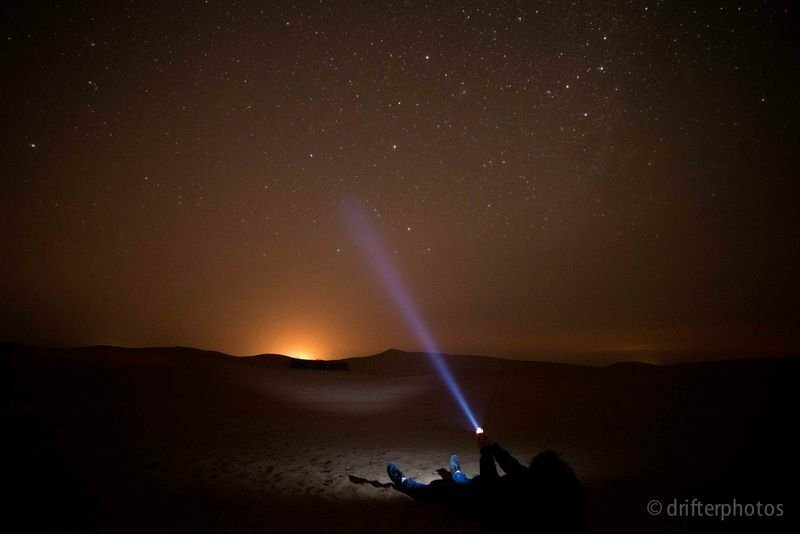 Lying down on the calm and chilled Thar Desert when the moon and stars come to meet and then onward, the beauty of the vast desert just changes. 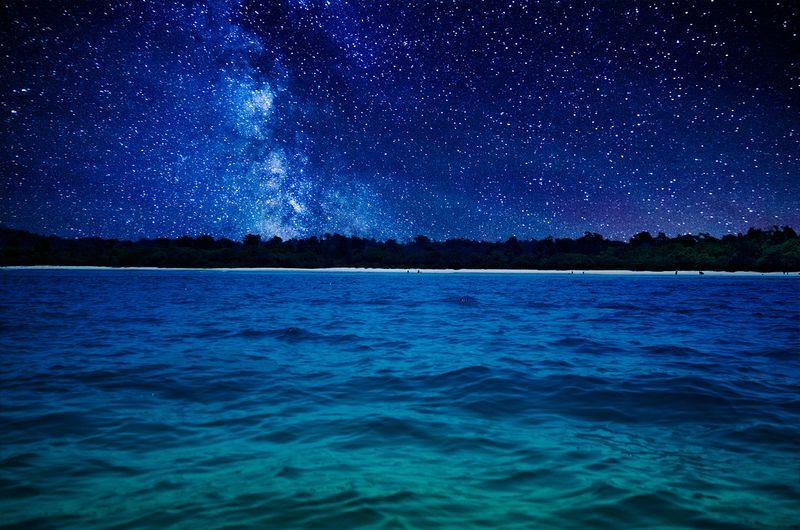 Stargazers can opt for a night safari or a carefree walk through the tough sand dunes to have an enchanting view of the moon and millions of stars covering the dark sky. Tucked away in the middle of rainforests, Coorg in Karnataka is a delight for any budding astronomers and mountain lovers. Also, the best place for diehard romantics to enjoy hand in hand the beauty of the night sky with thousands of stars peeking from behind the picture-perfect peaks of mountains. The lofty peaks like Tadiandamol are the major spots where star gazing is simply easy. In south of India, Coorg is a paradise for stargazers. Moon is peace. And the synonym for peace in India is Nubra Valley when moon is above the sky surrounded by trillions and zillions of stars. 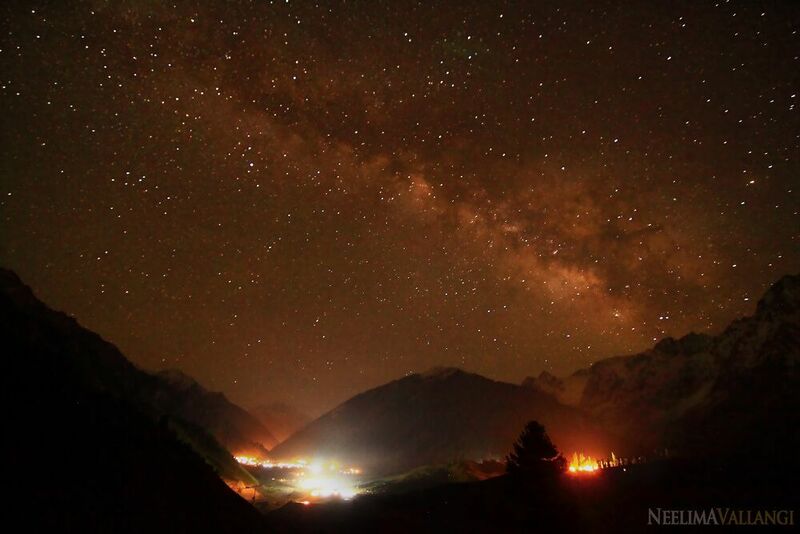 If you are a true stargazer you have to have a sleepless night to get the finest view of the sky in Nubra valley which is one of the most beautiful stargazing destinations in India! Rann of Kutch in Gujarat is another amazing place in the list of stargazing destinations in India. Compared to other regions in the west part of India, this place has been recognized to be a hotspot where 6 magnitudes of stars become visible to the naked eye. According to astrophysicists, the place witnesses some exquisite stars shooting and poses enough chances for astrophotography marvelously. All you need to do is lie down on your back on the unending stretch of white earth and gaze at the zillions of twinkling stars shining with all its glory. This unique setting is an unforgettable experience for stargazers. Literally translated as the ‘Meadow Of Gold’, Sonmarg is considered to be one of the favorite stargazing destinations in India for stargazers or astronomers. A mesmerizing hill station at 2730m above sea level, Sonmarg is filled with campers throughout the year who claimed to have experienced the night under the sky so clear that the stars appeared almost proximal to you. The beauty of the Sindh River is just a cherry on the cake. It’s a must-visit for all camping lovers. Owing to zero pollution, Spiti Valley offers a crystal clear sky, becoming a delight for every photographer and stargazer. Stargazing is way clearer from the top positions of towering mountains. 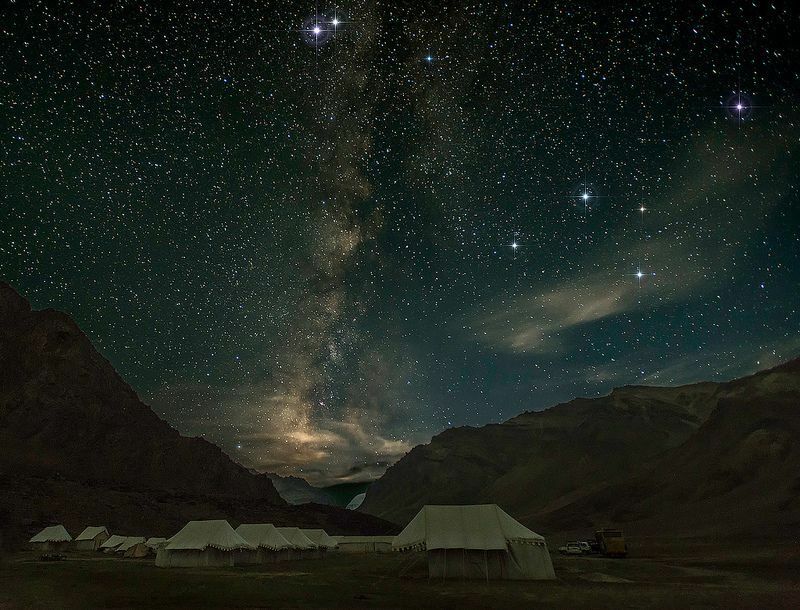 Known as the highest motorable village in the world, Kibber Village is located 14000 above sea level and is considered to be an ideal weekend getaway for pleasing stargazing moments and witnessing the infinite beauty. Visit these stargazing destinations in India with a telescope for a wonderful experience which you may not be able to see in the cities!